A highly respected and trusted man, Russell M. Ripma was an extraordinary man to know and love. He worked hard, but what made him so successful in his work was the care in which he treated his customers and those within in community. A man of faith, he lived to serve others in ways both great and small. Life will never be the same without Russ here, but he leaves behind a timeless legacy that his loved ones will proudly carry on in his footsteps. The 1930s brought us some of the most trying days we have faced as a nation due to the unrelenting grip of the Great Depression. With a soaring unemployment rate times were tough, but there was still hope to be found as cities, communities, and families came together to weather the storm in whatever way they could. Despite the challenges around them, Roy and Mary (Hummel) Ripma were able to shift their focus to a time of great joy in their lives as they welcomed the baby boy they named Russell on November 12, 1932, in Grand Rapids, Michigan. The second of two boys in his family, he was raised in the family home on the Northeast side of the city alongside his brother, Kenneth. From the time he was growing up Russ was a bustle of activity. In addition to attending local schools he also worked in his father’s grocery store, Roy’s Market Store on Plainfield, NE. Russ and his family were members of the First Netherlands Reformed Church, which is where he learned the fundamentals of the Christian faith that was engraved upon his heart. After graduating from Creston High School, Russ went on to Ferris State University and graduated with a pharmacy degree. With his education behind him Russ was poised for a rewarding career. He spent several years working in different Grand Rapids area drug stores before opening his own drug store on Diamond Street, NE. Later on, Russ managed the pharmacy department for the Eberhard Company. One of their stores was Bud Pharmacy in Grandville and that was the primary store where Russ spent most of his time. While working there he became known for his patience and advice among their many customers. Throughout his life Russ was one to keep busy. His faith was a cornerstone, and he and Lois were active members of Knapp Street Reformed Church. Over the years Russ served as an elder and also chaired and participated in several committees of the church. With a lifelong love for music, he participated in and directed several choirs. Some were church choirs and others were community choirs. Russ and his wife lived in Grandville and were both active in the Grandville Senior Neighbors. With a heart for serving others, he was voted the “Citizen Volunteer of the Year” of Grandville in 2014. Russ and Lois enjoyed taking some shorter trips including their annual trip to Mackinac Island. With a journey that spanned times of great change in the world around him, Russell Ripma lived a life of purpose while making a significant impact in the lives of so many. A friendly and kindhearted man, he was known as someone who would stop at nothing to help others in his church or his community no matter the personal sacrifice. Russ was a man of faith who was content no matter what life brought, and his love for his loved ones was unmatched. He will be dearly missed and never forgotten. 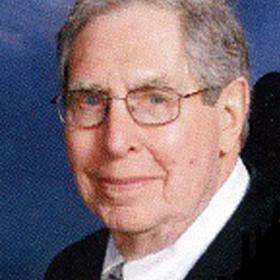 RIPMA – Mr. Russell M. Ripma, aged 86 of Grandville passed away Wednesday November 28, 2018. He is survived by his wife Lois Ripma, his children: Julie Ripma, William Ripma, Jill Ripma, Amy and Randy VanderMale, David Mieras; grandchildren: Joshua Ryan, Jared Ryan, Alicia and Jason Chaney, Nick and Jenica VanderMale, Kristine and Mike Scalici and 5 great grandchildren. Russ was a long time pharmacist in the Grand Rapids and Grandville area and an active member of Knapp St. Reformed Church and Grandville Senior Neighbors. Relatives and friends are invited to visit with his family Monday from 6 to 8 P.M. at the Heritage Lifestory Funeral Home, 2120 Lake Michigan Dr N.W. A memorial service will be held Tuesday at 11 A.M. at Knapp St. Reformed Church, 4025 Knapp St. N.E. and where friends may meet with family Tuesday from 10 AM until the time of the Memorial Service. For those who wish memorial contributions to Knapp Street Reformed Church or Grandville Senior Neighbors would be appreciated. To read more about Russ’s life please visit www.lifestorynet.com.